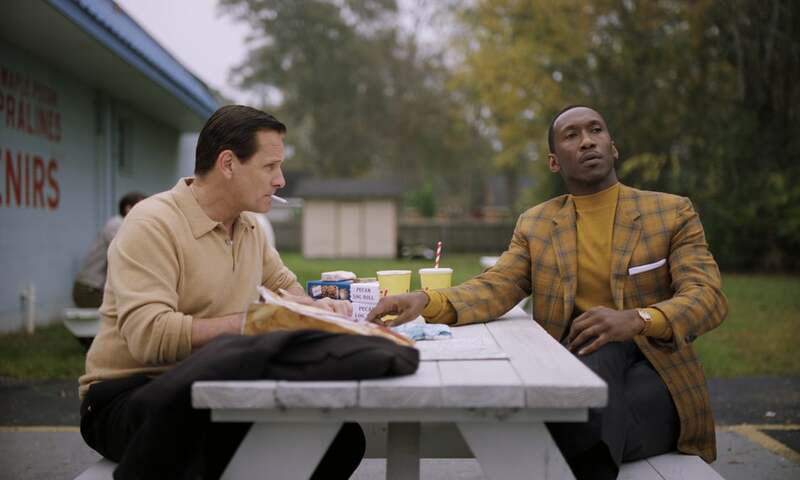 Green Book is the Oscars nominated film based on the true story of African American classical jazz #pianist Dr Don Shipley (Mahershala Ali), although the family of Shipley dispute the validity of the story. Set in the late 50’s in a time when there was a huge racial divide, black performers after performing to white audiences were not be able to stay in uptown hotels or eat at the places they performed. The “green book” refers to a book put together to help African Americans stay safe when travelling in America, informing of “friendly” places and places where they would encounter danger. The danger of racial violence and and abuse. The #film creates the “unlikely” couple in the pairing of Shipley and Tony ‘Lip’ Vallelonga (Mortensen) an #Italian tough guy. When Shipley embarks on a tour he needs a driver and the two men hit the road when Lip takes the job. Divided by #race and #class, from completely two different worlds but facing #racism and danger together they form a bond. Lip discovers a dark sad soul in Shipley someone who describes himself as “not black enough, not white enough and not man enough”. A road trip film, worth watching. The film is produced by Octavia Spencer. The film stars Mahershala Ali and Viggo Mortensen. In UK cinemas 30 January 2019.